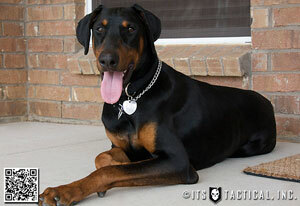 Many people purchase dogs for the purpose of adding to home defense. For some people, dogs are their only defensive measure. Still others plan to only use their dog as an alternate form of a house alarm and then completely discount them after that. If you have a very small dog, then perhaps their best application is as an alarm. But if you have a large dog that is capable of protection and especially if you plan to rely on this dog for any portion of your home protection plan, then you must train both yourself and your dog for this eventual possibility. Having a dog as part of your defensive plan and not training with that additional asset is as foolish as buying a gun and keeping it by your bed side and never shooting it at the range. 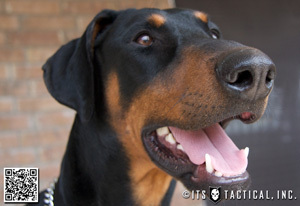 Assuming that you have trained with a competent trainer, that your dog has been properly trained to bite and fight with a person and has been stabilized such that you can give the command to attack and the command to leave it, and both are obeyed equally well, then you are ready to begin introducing your dog to home protection. If possible, you should request that your trainer conduct this training at your home. Introduce the dog to biting in the space that they are used to viewing as calm. This will turn your dog on to the idea that there could be a threat even here in the home. Bite work should start off outside and then work its way inside your home and in different rooms in your home. This must, of course, be done with some level of discretion if you have anything that could be broken during this training, and most homes do. The problem can be solved in several ways. You can either remove the items sensitive to being damaged, you can try your best to keep the bite work from being overly active and thus causing damage, or you can limit your bite work in the home to specific locations where there are no easily damaged items or the items are easily moved out of harms way. This is usually easier said than done, and if one spouse desires this training more than the other, then this could be an unnecessary point of contention within the home. However, if you can train in each room in the home, then you should take advantage of that opportunity. This may be better than nothing, but if this is required in the home, then you should consider not training in those rooms where this is a concern. First of all, people do not remain calm when being bitten by a dog. Secondly, you do not want to train in unrealistic situations where the communication between the decoy and the handler may cause confusion to the dog. In most cases, this is going to be the best situation that can be achieved. While you want to develop realism in your training as much as possible, often times trying to take it to the maximum level possible is more trouble that it is worth for the benefit gained. But make sure that you do conduct some of this training in your home. The next logical step, although not necessarily next in sequence, is ensuring that your dog is familiar with and comfortable around gunfire. 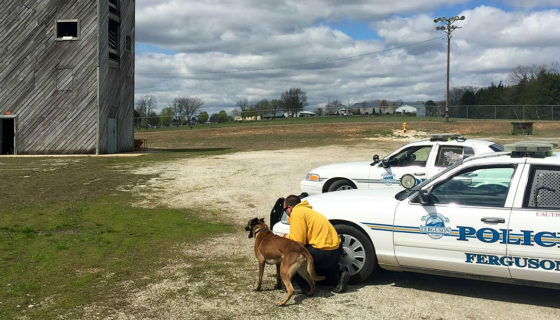 I will not go into great detail here as both Baden K-9 and Dunetos K-9 offer courses in gunfire familiarization, but I will give you a few beginning thoughts. Do not take a dog out to the range for the first time and place them next to your muzzle. Build your dog’s exposure to gunfire. Be very cautious about your dog while on the range. When dogs are introduced to gunfire, many can become highly stressed and sometimes lash out at others. Ensure that you are in control of your dog and your surroundings. Do not allow others to come and dictate to you how to work with your dog. If this means that you need to find a new range, then that is what you need to do. Remember, you are always responsible for your dog. This means maintaining control of your surroundings. Finally, working with your dog around gunfire is something that you need to continue over the long haul. As often as possible, you should take your dogs with you whenever you go to the range. Exposing your dogs to gunfire often will ensure that they will not have a negative reaction to it during an actual defense of your home. 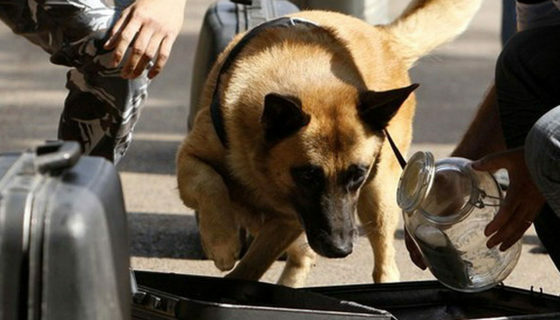 Once you have introduced your dog to bite work in your home and your dog has been stabilized around gunfire, you will be ready to begin the actual integration of the dog into your home defensive plan. The first step in this process is to train each member of your family how to react once your home defensive plan is initiated. Where are your children going to go? What is your husband or wife going to do? How are you going to communicate clearly throughout this situation? Ensure that you can clear your home on your own. Where do you start? Are you going to assist in moving your children? How are you going to ensure that you are not bypassed? Once you are familiar with your pattern and how you would respond to different contingencies, you will also be able to identify your areas of weakness. Make careful note of these weaknesses and what the possible responses by a home invader would be. Finally, begin to walk your dog through the process of clearing your home at your side. With the help of a competent trainer, you can develop the specific actions that will ensure your dog strengthens your weaknesses and maximizes your abilities. You may use your dog to guard an area that could be used to bypass you. You may send them into a room just before you enter it to clear and/or distract a home invader. The possibilities are many, and a competent trainer can help you work through those contingencies. Any force on force engagement, including a home invasion, is a dynamic and high stress situation. You will respond much faster and with better judgment if you have worked through these contingencies in advance. Run dry practices when there is no threat. Train as realistically as possible as often as possible. Whenever you hear a sound in your home, go through these motions so that it is maintained in both your mind and the mind of your dog. 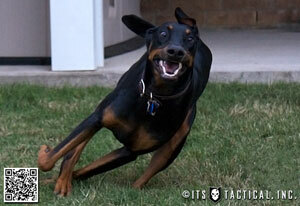 Integrate your dog into all of your own defensive training whenever possible. This will keep you both sharp and help maximize your bond as well as your ability to “read” one another. A tactical team functions more smoothly the more they train together because they can better anticipate how other members of the team will react in different situations. The same goes for you and your dog. For more information on the mindset required for protecting yourself and your family, see my article What It Really Takes to Defend Yourself and the follow-up article Integrating Dogs into the Warrior Mindset. Now get out there, get yourself a dog bred for working and find a competent trainer that can bring you to the next level. With a trained protection dog you can rest assured that you will be a formidable force to reckon with and you will have the confidence of knowing that you will respond well if the worse should happen. If you have any remaining questions not answered in this series, or if you would like information on Dunetos K-9’s courses for introducing dogs to gunfire and integrating dogs into home defensive plans, please contact me at [email protected].